Fair trade is a social movement to encourage sustainability and empower the producers of goods from developing nations. The movement promotes fair wages and conditions for workers, raising awareness of marginalized producers of goods, and changing the rules of conventional international trade. Though efforts to develop fair trade supply chains in developing countries originated in the 1940s, the modern fair trade movement got its start in 1965 with the creation of the Alternative Trading Organization. As popularity of fair trade increased over the decades, a number of efforts to regulate fair trade products have sprung up. Today, a product is generally considered fair trade-certified if it sports the mark of the Fairtrade Labeling Organization International (FLO), an organization that offers certification standards on everything from tea to fresh fruit, herbs, alcohol, clothing, electronics, and even sports equipment. There are literally hundreds of fair trade and fair trade-certified products on the market today, available through corporate retailers like Ben & Jerry’s and Whole Foods, as well as any number of independent stores and organizations. Fair trade coffee has become especially popular in the United States, where one-fifth of the world’s coffee is consumed. Though the US is the largest consumer of coffee in the world, few American citizens are informed about the conditions in which coffee farmers work. 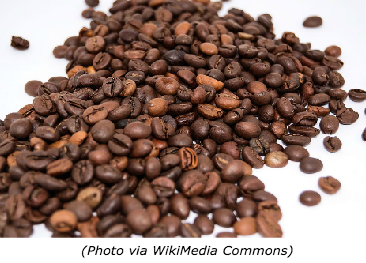 According to Equal Exchange, one of the more popular suppliers of fair trade coffee in the US, many small coffee farmers receive prices for their coffee that are less than the costs of production, forcing them into a cycle of poverty and debt. Some fair trade coffee suppliers are fairly well-known nationally—such as Equal Exchange and Grounds for Change—though there are also a number of interesting smaller suppliers that cater to local markets and take alternative approaches to increasing access to fair trade products. One unique company is the Peace Kawomera Cooperative, sellers of Mirembe Kawomera (Delicious Peace) Coffee. Part of the Thanksgiving Coffee Company, the co-op was founded in 2003 to bring together Jewish, Christian, and Muslim farmers in Uganda to build lasting prosperity in their villages and spread a message of peace throughout the world. Peace Kawomera has over 750 members who have bridged their religious and cultural differences; members are receiving prices for their coffee that are four times higher than what they were previously paid, enabling them to send their children to school, start savings accounts, and reinvest in their farms. A documentary on the story of Mirembe Kawomera was released in 2010. 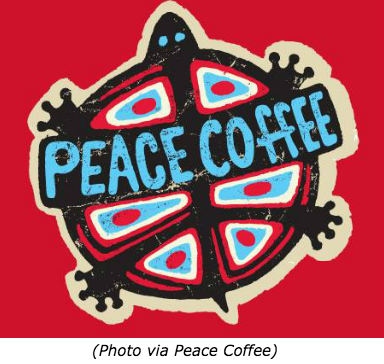 Another company taking a distinctive approach is Peace Coffee, which was founded as a project of a nonprofit—the Institute for Agriculture and Trade Policy—to prove the viability of fair trade as a business model. The Minneapolis-based company pays farmers more than the minimum required by the FLO; has a pre-harvest finance plan that allows farmers to purchase necessities for the upcoming harvest; and each year sends its employees oversees to visit the cooperative farms it does business with in Sumatra, Ethiopia, Mexico, Guatemala, Colombia, Bolivia, Peru, and the Dominican Republic. The company also goes one step beyond the traditional fair trade business model by supporting local environmental sustainability—all coffee is delivered by bicycle or bio-diesel-fueled van, and each of the employees lives within a four-mile radius of the Peace Coffee offices. Back to "Sustainability Not War"